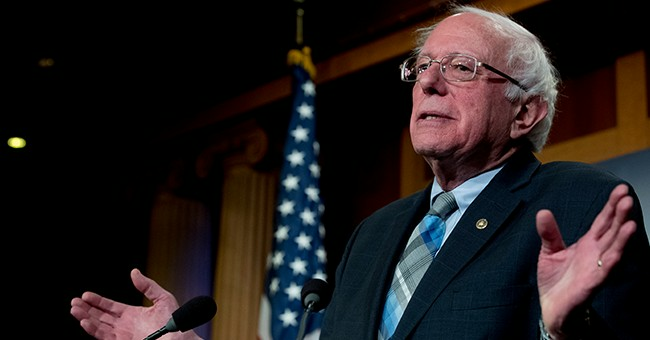 “Bernie Sanders is the most pro-union candidate in the field, he’ll be the most pro-union president in the White House and we’re honored that his campaign will be the first to have a unionized workforce,” campaign manager Faiz Shakir said in a statement. The campaign added that employees had decided to unionize through a card check system, in which employees sign authorization slips consenting to being represented by a union. The campaign workers designated the United Food and Commercial Workers Local 400 to represent them as their exclusive bargaining representative. Frankly, we should have expected this, and why didn’t this happen sooner? You would think his 2016 staff would’ve done the same. Since then, it’s not just political campaigns, but staffers with media publications who have decided to unionize as well. We wish these comrades well, I guess. I couldn’t care less that a bunch of left-wingers decided to do this, though finding what’s a fair salary isn’t the only problem facing the Sanders 2020 campaign. The Vermont senator’s campaign is facing accusations that it was a den of sexism and sexual harassment during his 2016 run. Mr. Sanders said he was too busy running to address these concerns adequately. Recently, his spokesperson was forced to apologize for peddling the dual loyalty smear against Jewish people that’s rightfully been viewed as anti-Semitic. The 2020 Democratic clown car isn’t even full. These issues will be dredged up again, as all of these jokes attempt to cut each other apart on the debate stage.